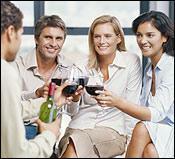 Wine Spectator puts your wine knowledge to the test. Which of the following red grapes is among Chile's best? In terms of both quality and ubiquity, Malbec is to Argentina as Tannat is to what country? Grape harvest season in South America typically runs from …. Proximity to the Andes mountain range most impacts the top wine regions in which two South American countries, presenting benefits and challenges of altitude, climate and sun exposure? Which well-known South American vintner is an emergency-room physician, a published author and the fourth-generation leader at her family's winery? Thanks to a climate significantly cooler than more northerly regions, where in South America does Pinot Noir thrive? Close to 90 percent of Brazil's wine production comes from which southern "highlands" region, where conditions are ideal for growing grapes for sparkling wine? Renowned as the top cuvée of Chile's largest winery, the Don Melchor Cabernet Sauvignon has been named to Wine Spectator's Top 100 Wines of the Year eight times. Who makes the mighty red? Torrontés, a white wine grape that is unique to Argentina, is a hybrid between the Mission grape and what other grape? Philippe Dhalluin, now the general director of the famed Bordeaux first-growth Château Mouton-Rothschild (and sister properties including Chile's Viña Almaviva), started his winemaking career working in which South American country? Test your tasting skills in our mystery-wine game. New: Can you guess what this textured white is from its melon, mineral and blood orange notes?